Hello, I have a problem to stick the BaxterVacuumCup. In my scene, I have got 6 BaxterVacuumCup which I have modified their visible shape (BaxterVacuumCup_body) and also the dynamic shape properly. 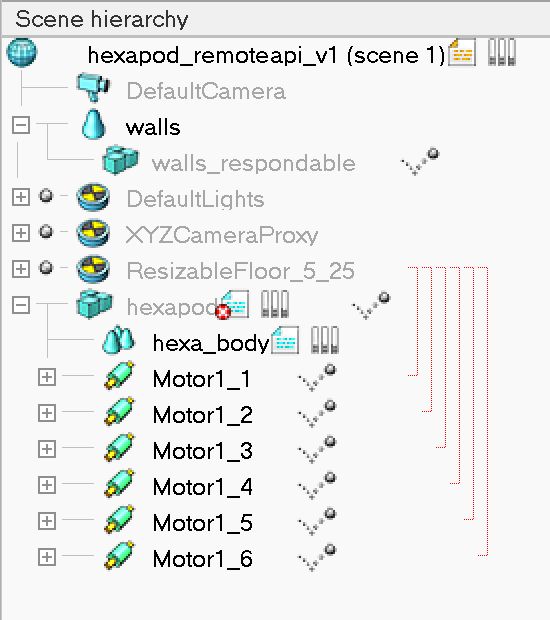 However, when I use the remote API to activate the vacuum cup, the links with the floor are in color red (as you can see in the picture) and don't attach properly. Why are the connections in red? A few days ago before making more modifications to the model, the links were blue and the vacuum cup attach to the floor properly. the red lines are linked to the IK functionality. You probably have modified the dummy-dummy link type.